"Grana Padano. 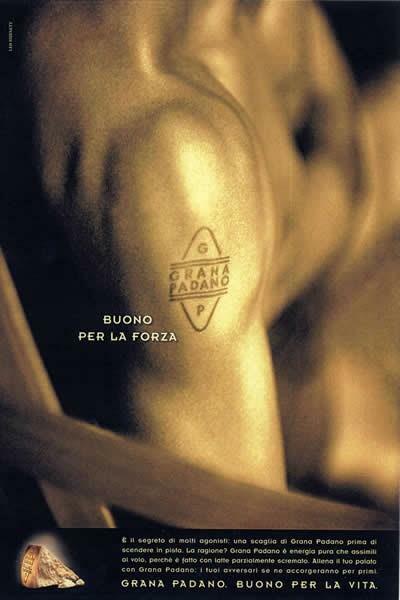 Good for Life"
"Grana Padano. Good for Life": the slogan broke with the past and was innovative in its language. As with advertising in magazines and journals, commercials were defined through effective images ("Good for the environment", "Good for your bones", "Good for life", "Good for power") with each shot summing up the benefits of the product.